In this article, we would like to present you the simple 3 ingredient smoothie, which is very healthy and beneficial, and it can help you get rid of the fat, and lose the amount of weight you desire. 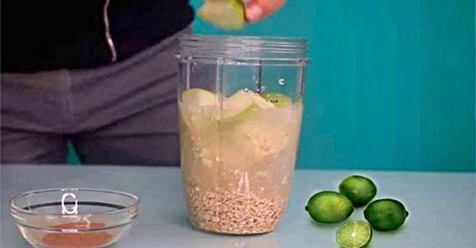 Put the mineral water in the blender, then cut the green apples in smaller pieces and add them in the blender as well. Then get the oats and put them inside the blender too. Turn it on, and blend until the mixture becomes homogeneous. 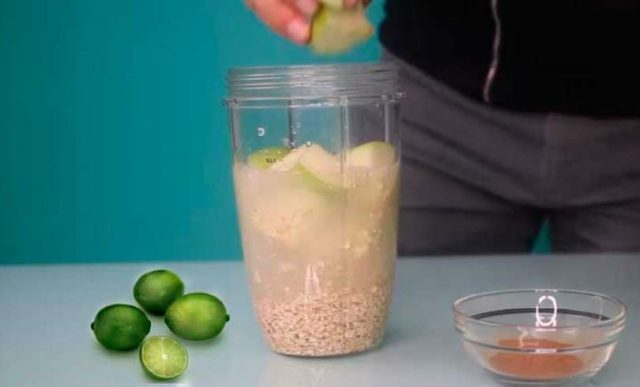 Then cut the lime in half and only squeeze its juice inside the mixture. Stir well, and the smoothie is ready for consumption. Consume it once on daily basis, for one week.